It’s no secret that tube amplifiers are coming back in a big way. 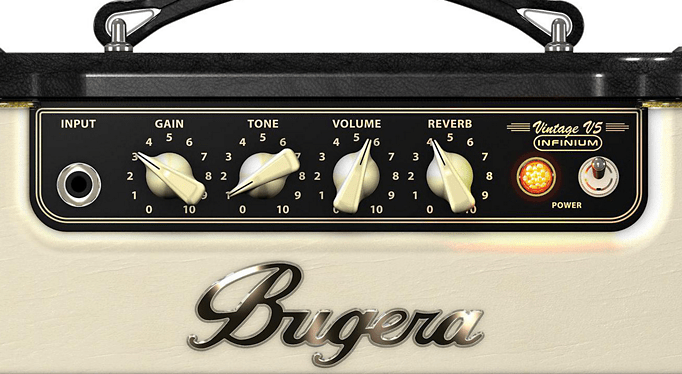 The Bugera Infinium line of all tube amps should be near the top of your list. We’ve seen a rise in this trend over the past several years. Those who claimed that solid state technology would render tubes obsolete are probably eating their words right now while jamming on a valve box of their own. Just like it was the case many decades ago, you have two broad categories of tube amplifiers – full-size stacks and mini combos. The former kept evolving without a moment of pause, mostly because tubes were always the standard for stage use. It has been the small practice amps that have seen a real boom in popularity, topping best seller lists all over the place. The reason for this is that manufacturing costs have come down significantly, making it possible to build a relatively affordable tube that people want to own for everyday use. One brand that took the full advantage of this new situation is Bugera. They’ve designed a family of smaller, reasonably powered tube amps for the masses, and today we are going to review out one of them in detail for you. “Vintage” is a word that gets thrown around a lot these days. The majority of brands, as well as their customers, associate ‘vintage’ with old school aesthetics. Having something that looks like it has a rich history is always great, and the way this amp is designed will give you that feeling. The only difference is that you get that factory new smell with it as well. The amp features fully covered, poly coated top back and sides with full corner protection. The front features a vintage style mesh combined with a cream colored panel. This panel is also where you will find Bugera’s logo. Overall, this little bad boy is built like a tank. Smaller, compact guitar amplifiers are pretty hard to mess up in this regard simply due to their small size. Regarding weight, you are looking at a practice combo which definitely won’t be an issue to move around by hand. The amp features a single 12AX7 in the preamp stage and a single EL84 in the Class-A power stage. That tube combo is more than enough for a 5 Watt combo amplifier such as this one. To an average observer, this amplifier doesn’t look any different than what most other brands are offering out there, but that is simply not true. The tubes are protected with the infinium tube life multiplier technology that carefully conditions the electricity and ensures that they are not destroyed by power surges. Tubes are supposed to last 20 times longer thanks to this added engineering. One of The v5’s main features comes in the form of a genius power attenuator switch. Not only can you cut the power down from 5 Watts to 1 Watt, but you can set the output to 0.1 Watts. This type of flexibility opens a whole new sphere of applications, but we will get to that a bit later. In full-power mode it is possible to get some over saturation and to exceed the capacity of the British made Turbosound speaker. However, the input gain control is perfect for introducing a gentle breakup for single coil pickups. For a more bluesy tone, plug this amp into a guitar with humbuckers and turn the dial down to the 1 watt mode for a clean tone. A quick word about the speakers. Several years ago, they didn’t come with the Turbosound speaker, but with a cheaper version. Now, they come with that upgraded 8-inch speaker and the tube sound quality and durability on this is great. Controls are more or less exactly what you would expect to find on a practice unit. You get the Gain Knob, Tone Knob, Volume Reverb knobs combined with the on/off switch. Gain, Volume, and Reverb are pretty self-explanatory. However, that Tone control is a pretty decent tool to shape your tone. There is also a headphone jack for silent practicing, which makes this unit excellent for playing quietly by yourself in a crowded dorm room. Your roommates will love it. One great thing about small compact amps is that they can deliver some of that fabulous tube tone, only scaled down. This little guy not only has enough volume for a practice unit, but you will probably find yourself using the 0.1 Watt setting most of the time. Compared to something like a Fender Vibro Champ XD, this one comes across as less versatile. However, that attenuation switch alone gives it an edge in my opinion. 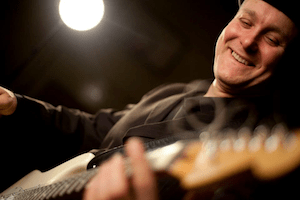 If you are after that classic rock tone, you probably won’t need any additional pedal. This little box of power simply sings. The weakest point of the entire package is the reverb. It’s a digital reverb, so you will probably hear traces of that as you use it. However, compared to other reverbs you can see on selections in this price range, this one is surprisingly organic in nature. Overall, the tone is well worth the money, especially if you like pushing those power tubes into a natural growl. If you take a look at its immediate competition, such as the Epiphone Valve Jr, this baby looks like a spaceship. Compare that Epiphone’s extremely limited controls and you will get the idea. Not only that, but the form factor makes the Epiphone a pretty cumbersome setup to move around. Even though the difference between these two brands is significant, something draws me closer to the Bugera. Many of the guitar players who buy this enjoy tweaking it to improve the sound. One fun upgrade is to swap out the tubes for Tung Sol 12AX7 and a Genalex Gold Lion EL84 tubes. These plug and play upgrades bring out more of the high end and make this little box sing. One of the most asked questions regarding Bugera V5 has to do with its application. We have already defined that it’s a perfect practice amp. Fortunately for us, there are way more applications you can. Since you’re able to drop down the output to 0.1 Watts, it is also a great recording amplifier at the lower volume. This is a great amp for practicing electric guitar, but I don’t feel like it is a good acoustic guitar amp. 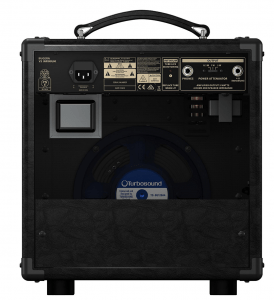 Another question that gets asked a lot is whether or not this particular amplifier is a good choice for playing at gigs. In my opinion, 5 Watts, no matter how loud they sound, is only useful in tiny venues (a room). Anything larger than a small, quiet space will require a bit more juice. But for an intimate setting? Sure! Go for it! 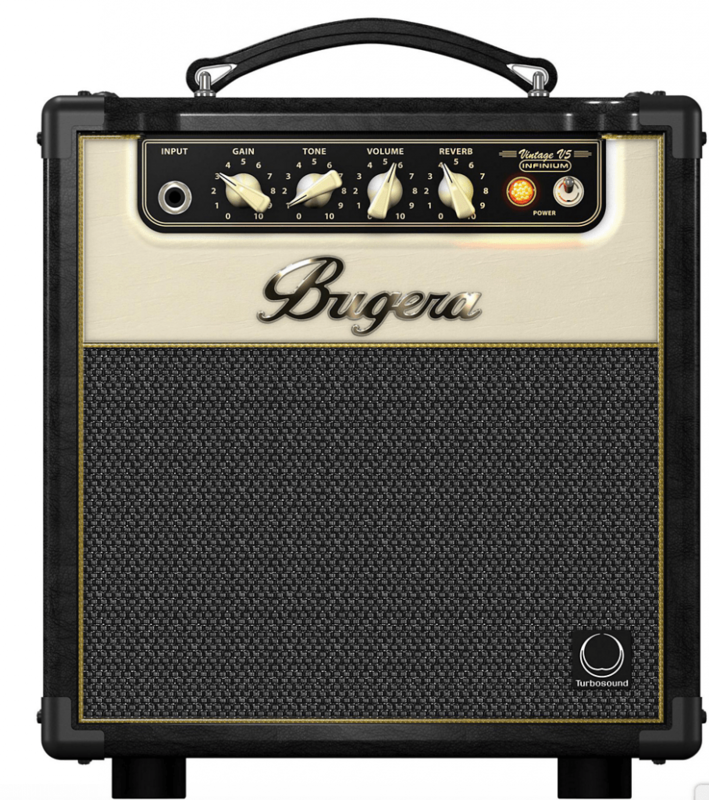 If you need larger wattage, you can check out the Bugera V22 or the Bugera BC 15. Out of the entire Infinium line, the V5 is probably the most successful amplifier they have to offer. It feels like Bugera packed in just the right amount of key features, made it just the right size, and, most importantly, priced it just right compared to other models in this beautiful series. Naturally, everyone has their set of needs and requirements, but the V5 is a great addition to any new or existing rig. Those who are recording music at home will find this little amp to be even more beneficial. And, wouldn’t you know it, it plays along with microphones beautifully, even at the lowest output setting.